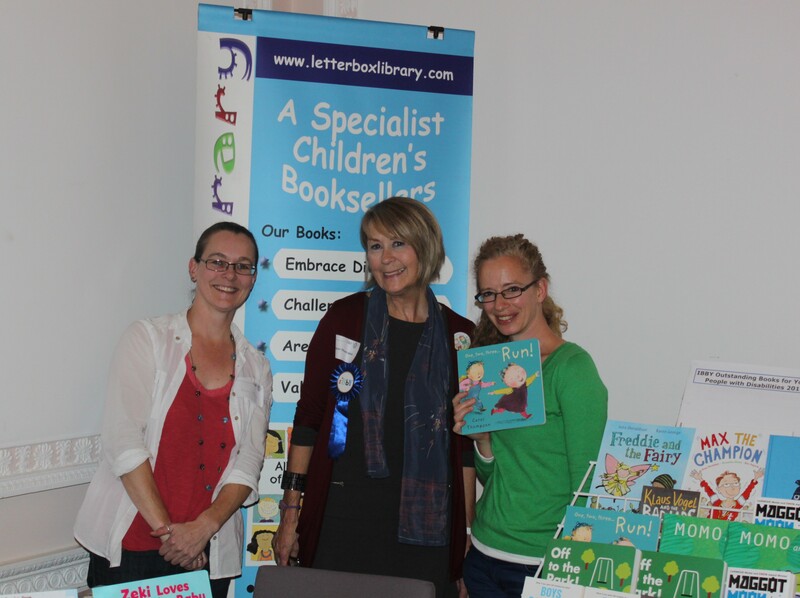 The 21st annual IBBY/NCRCL MA Conference took place on 8 November 2014 at the University of Roehampton. This year’s theme was ‘Belonging is… an exploration of the right to be included and the barriers that must be overcome’. This week on the NCRCL blog, alumni and current NCRCL students will be reporting on various aspects of the conference, including the speakers, panelists and parallel sessions. In the penultimate event of the conference, this panel of notable children’s author-illustrators discussed the creation and production process for their work with chair Carol Thompson, author and illustrator for Child’s Play. Mary Hoffman, writer of historical fantasy novels as well as picture books, has collaborated with illustrator Ros Asquith on the Great Big Book series. Their Great Big Book of Families was originally planned as a book on fostering and adoption, but emerged, they explained, as a wide-ranging look at all sorts of families, much enlivened by Asquith’s amusing illustrations. The success of this title has spawned a series; it was followed by the equally successful Great Big Book of Feelings and the Great Big Green Book is soon to be published. The incomparable Sarah Garland (awarded the 2014 IBBY Honour List for Illustration earlier in the day) talked about her book Azzi in Between, which was inspired by her meeting a refugee family (two parents and a child) on a visit to a charity shop in New Zealand. Her musings on where the family had come from, why they were there, and what might happen to the child, led her to enquire at a local library (top marks there, Sarah!) for a book that could help the child understand her situation. The librarian could not recommend a suitable title, so Garland decided to write a book for that child. Her discussions with refugee families and in a local school – which educated 250 refugee children, mostly from Burma – were reinforced by in-depth background research, and culminated in Azzi in Between, a fascinating, and very readable picture book, which balances the, sometimes terrible, reality of life for refugee families with accessibility for the young reader. The book depicts the lives of a family of middle-eastern refugees – Garland confessed she found Burmese children difficult to draw! Mary’s The Colour of Home, beautifully illustrated by Karin Littlewood, which tells the story of a young Somalian refugee to the United States, was also meticulously researched and is similarly accessible to the young reader. Garland went on to discuss the journey to publication of Billy and Belle, which depicts a black father and a white mother. Having survived early objections to the endpapers from her publisher’s publicity department – because they showed the two parents in bed together – the book became extremely successful. And Garland recounted with joy being accosted by a stranger in the street thanking her – as a black father – for writing the book. Hoffman and Asquith reinforced the value of reader response in discussion of their Welcome to the Family, which explores the many different ways for children to become part of families. Both talked to children in complex families; Hoffman described meeting one where the children had three sets of parents, including the sperm donor father (BioDad), while another contained different race children who were nevertheless biological sisters. Despite negative responses from American evangelical groups, the book has been very popular with child readers, whether in ‘complex’ families or not. 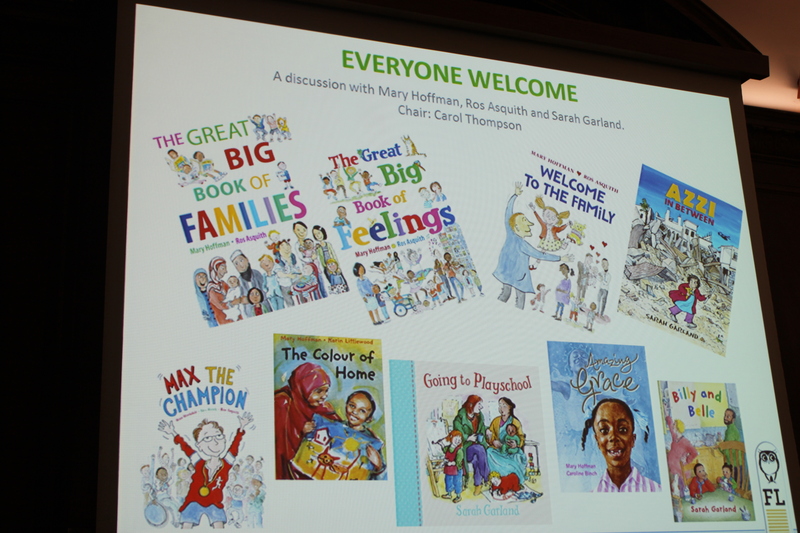 All three panellists were full of appreciation for their diverse-aware publisher, Frances Lincoln Children’s Books, Garland pointing out that it is “so wonderful” to have a publisher who understands your work. And working as a team with the editor and designer was cited as a key aspect of the successful outcome of the writing/illustrating journey. Asquith also paid tribute the Letterbox Library, for their excellent work in distributing books that tell stories of diverse lives. Overall, a fascinating discussion from three major exponents of the successful representation of diversity in children’s picture books – a most relevant exploration of the conference theme – ‘the right to be included and the barriers that must be overcome’. Kay Waddilove is a PhD student at the National Centre for Research in Children’s Literature, based at Roehampton University. She is currently researching the representations of motherhood in children’s books of the 1950s. Photos provided by Fen Coles, co-director of Letterbox Library. Letterbox Library has been nominated for the Astrid Lindgren Memorial Award 2015 by IBBY UK for their work as a specialist children’s bookseller celebrating equality and diversity. 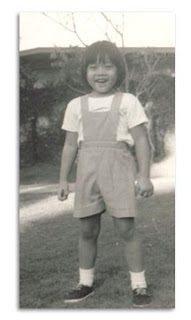 Candy Gourlay, about age 6. She used this photo during her talk to illustrate her ‘AHA!’ moment that she wanted to be an author. Photo credit. One of the phrases that stood out from Gourlay’s talk, and echoed repeatedly throughout the day, is the need for “different ordinary worlds” in books. Any child needs to see their own ordinary world: their race, their gender, their hobbies, their disability, their emotional state, their family set-up…. and this needs to happen by natural inclusion, not with a gimmick or a specialist tale. (Gourlay mentioned that the specific pitfall for a story about the Philippines is to be disaster related.) All children need to be included in their literature, it is essential for them to see their own life reflected in the narratives that they read. In her talk, Gourlay referenced the popular Twitter campaign, #weneeddiversebooks, a movement that has kicked off many conversations in the US about the need for more diverse books that would reflect those “different ordinary worlds”. As a writer, Gourlay had her initial novel idea rejected, largely due to the central characters (white, male, British) being so different to herself. Gourlay suggested that the feelings of exclusion she experienced from books as a child had followed her and led her to ignore who she was, even in her own writing. She became determined to write not only “what you know”, but to write “who you are”. This process led to the publishing of her award-winning, debut novel, Tall Story (2011), starring Filipino hero Bernardo. 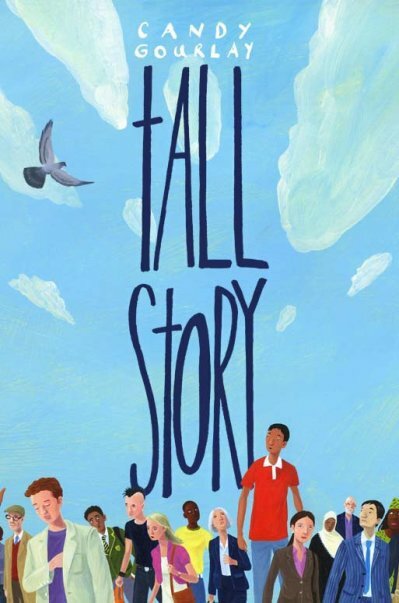 Through her presentation and her novels, Gourlay leads by example in workings for more diversity in children’s literature and reinforcing her own mantra: Diversity is not about Difference… It’s about Inclusion. Parallel Session E of the IBBY/NCRCL MA conference began with Michele Gill‘s paper entitled ‘”Out, but not so Proud?”: The Representation of Gay Boyhoods in Contemporary British Young Adult Fiction’. Unfortunately, Gill could not be there on the day, but kindly sent her paper anyway and it was read by the session chair, Alison Waller of NCRCL. The premise for Gill’s paper was to analyse the patterns in young adult fiction in terms of their representation of gay male characters in the UK since the new millennium. She noted that since that time there has been a shift in UK publishing (as well as in the US and Australia) in the ways in which male characters are already identified as gay within the text and questioned whether this was a shift away from the ‘issue novel’ style handling of sexuality into a style of narrative that was more inclusive. Gill utilised R.W. Connell’s Masculinties (1993) to look at the ways in which some boys are privileged over others, and how that might effect the representation of ‘boyhood’ vs ‘gay boyhood’ in young adult fiction. Some examples of the novels Gill looked at included: Lucky (2004) by Eddie de Oliveira, My Side of the Story (2007) by Will Davis, and What’s Up With Jody Barton? (2012) by Hayley Long. Gill noted that there was an overall acceptance of the gay male characters in the novels, but that their sexuality was still set up as problematic–‘ambivalent representations’ of gay boyhoods at best. In light of those findings, quoting US author David Levithan, Gill called for more novels that allowed their characters to simply ‘be’. Librarian Jennifer Smith spoke next, her paper entitled ‘The Ultimate Outsider: The Misfit Persona of Protagonists in Popular Young Adult Fiction’. For her talk, Smith was interested in the ‘misfit persona’ as found in popular young adult fiction–indeed, best-selling fiction–and suggested that teenage readers are likely to relate to the ‘outsider’ status of their favourite protagonists because teenagers may feel like ‘outsiders’ at that age as well. She compared the protagonists in each of the following popular series and/or best-selling novels: Harry Potter series by J.K. Rowling, Hunger Games trilogy by Suzanne Collins, the Twilight saga by Stephanie Meyer, Divergent trilogy by Veronica Roth, and The Fault in Our Stars (2012) by John Green. Smith discussed how some characters were born or quickly came into their ‘outsider’ status–such as Harry being brought up by the Dursley family and Hermione being born a ‘muggle’ in Harry Potter–in contrast to other ‘outsider’ characters who have some choice in the matter–like Katniss in Hunger Games who is both set apart from the community by her family structure but also volunteers as tribute (an ultimate outsider) in place of her sister. 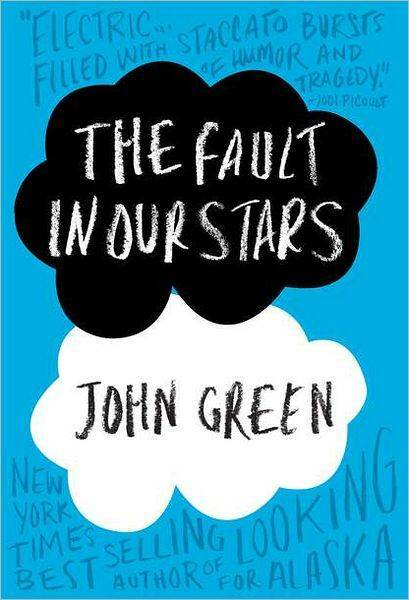 Overall, Smith argued that it is the agency of these ‘misfit’ characters, particularly Hazel in The Fault in Our Stars, that offer new approaches of what it means to be an ‘outsider’ and what confidence can be gained from that status. Erica Gillingham is a PhD student with NCRCL at the University of Roehampton. Her research looks at lesbian romance in contemporary young adult fiction, and she has taught classes on feminisms and queer theory, LGBT picture books, and subversive children’s literature. Erica is editor of the NCRCL blog and also on Twitter. Marian Devons is a primary school teacher with responsibility for her school’s library. She completed the MA in Children’s Literature at University of Roehampton in 2004 and based her dissertation on the representation of gypsies in books for children. Her talk for the IBBY/NCRCL conference was entitled ‘Do Modern Gypsy Children Find a Place where they ‘Belong’ in Children’s Literature?’. Acknowledging the difficulties around defining ‘gypsy’, Marian focused on English novels from the 1950s onwards that explicitly used the term. She identified decade long trends switching between the romantic, realistic and historical, with an overarching trend for portrayals that were either stereotyped or ‘issue’ books. It was interesting to hear that Marian feels little has changed in the time since her dissertation was written. Her talk highlighted the practical decisions that have to be made about books held in a school library, and the challenges the lack of incidental gypsy characters and stories about modern gypsy children can bring. In an apt and fortunate twist, however, storyteller Richard O’Neill entertained delegates in between conference speakers with stories based on his own Romany background, perhaps representing change. Anne Malewski is a PhD student at University of Roehampton. Anne started her talk, ‘Age and Belonging in Tove Jansson’s Characters’, by defining ‘age’ and ‘belonging’, pointing out that age often marks out a territory of belonging that encompasses expected or allowed behaviour. Whereas childhood is often defined in terms of transition and becoming, adulthood is largely perceived as stable, as being. 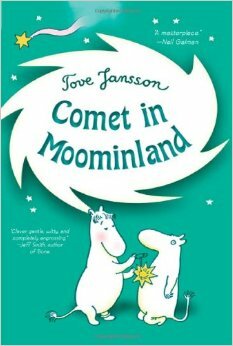 Applying this framework to the Moomin series, Anne showed how Tove Jansson challenges this dichotomy through a series of slippages related to appearance, behaviour, and attitude. For example: characters in the Moomins are most often distinguished by accessories rather than by age related characteristics; the child and adult characters share a love of adventure, and all engage in play; Moominmamma and Moominpappa are quite relaxed in their parenting, allowing the children to make their own decisions, but sometimes Moomintroll reprimands his parents, safely challenging adult authority. Anne convincingly argued that in the Moomin series Jansson subverts the notion that age is restrictive; no authority enforces pre-conceived ideas of belonging, instead it is about choices and relationships. Through their different subjects the talks showed just how wide the notion of difference and diversity is. While we looked in on representations of gypsies from the outside, age is something everyone experiences and something we can all think about from within. 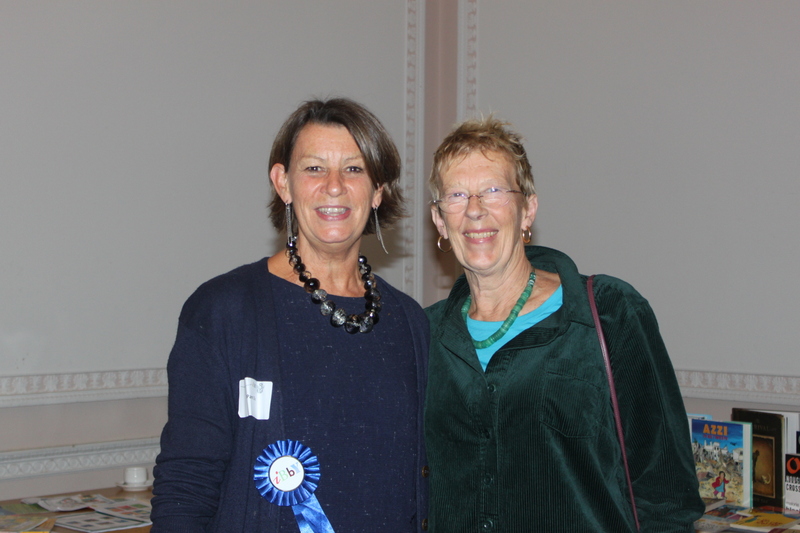 Thanks to Marian and Anne for two thought provoking presentations. Clare Merrett is a MA student in Children’s Literature with NCRCL in her final year, studying by distance learning. What she did say, however, was that “a very significant message…goes out when you cannot see yourself at all in the books you are reading”. This year’s IBBY/NCRCL conference theme, “Belonging is… an exploration of the right to be included and the barriers that must be overcome”, was chosen well in advance of the Blackman/Sky News controversy. But as IBBY’s Ann Lazim reminded us in her welcome, Blackman’s comments – and the torrent of abuse she received in response – only demonstrate yet again how vital it is that real attention is paid to issues of diversity and inclusion by academics, publishers, authors and readers. 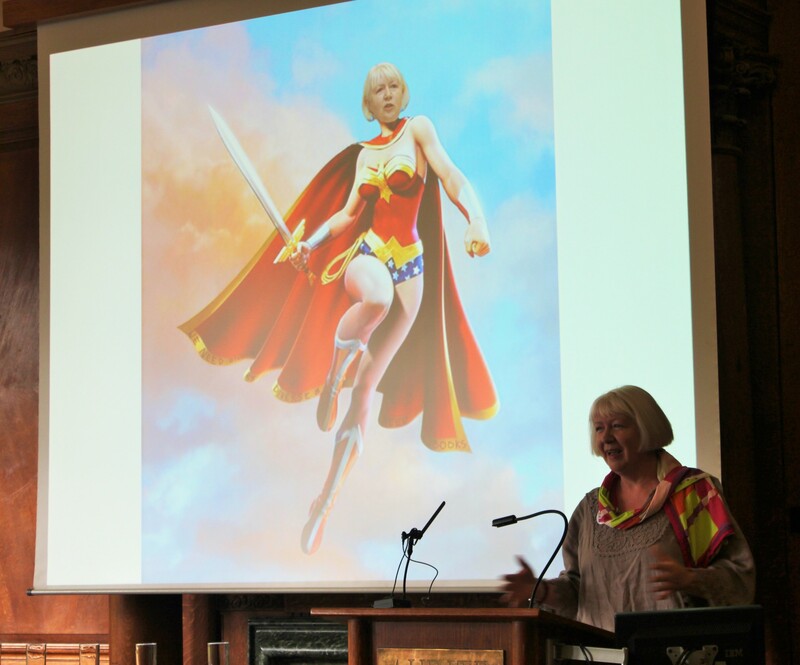 “Diversity in publishing superhero” Anna McQuinn set the tone for much of the day with her impassioned and inspiring account of writing, editing and campaigning for diverse children’s books from the 1970s to the present. The tone, in fact, was one-part weary frustration, to two-parts renewed fight, as less has changed than we might have hoped: “What are we still doing here in 2014?” was a running theme throughout the day. Alex Strick of Inclusive Minds warned of the continuing dangers of tokenism and stereotype in depicting disabled characters. Researcher Julia Hope spoke eloquently of the deep-rooted stigma which still adheres to the word ‘refugee’. Books such as Beverley Naidoo’s The Other Side of Truth (from which we were treated to a virtuoso reading by Naidoo herself) can help children who may never have spoken of their own refugee backgrounds to their peers or teachers begin to articulate their experiences. In the parallel session I attended, Marion Devons’s research into children’s books featuring Romany or gypsy children reveals that it wasn’t until 2008 that books with well-researched and realistic portrayals of modern gypsy children began to be published. We talk about ‘losing ourselves’ in a book. But every reader who is ‘different’ in some way to the culture they consume can remember the first time they found themselves, too. For Anna McQuinn, it was Irish author Walter Macken’s Flight of the Doves. Romany storyteller Richard O’Neill found his truths in the stories he heard from his family. Filipina children’s author Candy Gourlay (a hugely funny and energising speaker), who spent her childhood in Manila reading Peter and Jane Ladybirds, believed back then that Filipinos simply weren’t allowed to be in books. In contrast, she assumed her young son, growing up with one brown-skinned parent and one white, in a “two-tone” London neighbourhood, would be correspondingly colour-blind. Until he came home from nursery with a drawing of their family in which Candy herself was the only one painted a fetching blue while he, his brother and father were Simpsons yellow. Proof, if more were needed, that children are more attuned to difference than we might expect. And the consequences of reading non-diverse books are not only a corresponding decline of interest in reading as an activity, but measurable damage to self-esteem. We need books to match our realities. We need fiction to help us feel real. McQuinn challenged us not only to think about and discuss these issues amongst ourselves, but to act: if we want more diversity in books for children, we need put our money where our mouth is. We need to demand those books. We need to buy them. And that’s why we need authors and illustrators like Sarah Garland, Roz Asquith, Mary Hoffman and Carol Thompson, who all spoke of their determined struggles to get diverse books into shops. Each year, one of the strongest feelings of belonging I personally have is at the IBBY/NCRCL conference. I love being surrounded by people who take children’s books as seriously as I do. Cross-pollinating among the #IBBYBelong tweets were mentions of parallel campaigns #weneeddiversebooks and #everybodyin. There was fervent praise in almost every talk for the great work being done by Let Books Be Books, Inclusive Minds, Outside In World and Letterbox Library, among others. As Beverley Naidoo commented in her powerful closing address, we’d gathered at Roehampton on 8 November because we believe in the power of stories to challenge inequality in society. This feels like a moment when we could turn the tide in favour of diverse and inclusive children’s books once and for all. And in her rousing call to action, Anna McQuinn challenged us all to make sure we’re not having this conversation all over again in 2024. So, how we can make that happen? And are you in? Sarah Pyke is a PhD student currently researching LGBTQ adults’ memories of childhood reading as part of the AHRC funded project, Memories of Fiction: An Oral History of Readers’ Life Stories. She is based within the NCRCL at the University of Roehampton. She blogs here and you can also find her on Twitter.